The Power of Numbers in China and the Fear of Four. The following article was published in the Los Angeles Times on Saturday, May 21st, 2011. The Chinese character for4 is 四 and is pronounced Sì. It sounds very much like the character for death 死which is also pronounced Sǐ but in a different tone. I send you this article because it shows the importance of understanding Chinese culture if you wish to be successful in doing business with the Chinese. 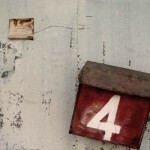 In Arcadia real estate, 4 is a negative number. Many Chinese buyers shy away from 4, because in Cantonese and Mandarin the words for it and death sound similar. A law allowing free address changes may be revived. Pity the poor Arcadia couple trying to sell a house with a street number 44. Most local buyers are Chinese — and for them, such a number can kill a deal. That’s because, in Mandarin and Cantonese, the word for four sounds like the word for death. So 44 essentially adds up to double death. Josh Grohs, managing partner of Sol-Mur Development, LLC, buys up Arcadia houses, tears them down and then builds new homes. He knows his market and the dangers of picking the wrong property. “This property is worth $1.4 million if the address was not two fours. If they don’t change it, that would knock $300,000 to $400,000 off the property,” Grohs said of the owners of No. 44, who do not want their street name mentioned for fear of making a bad situation worse. 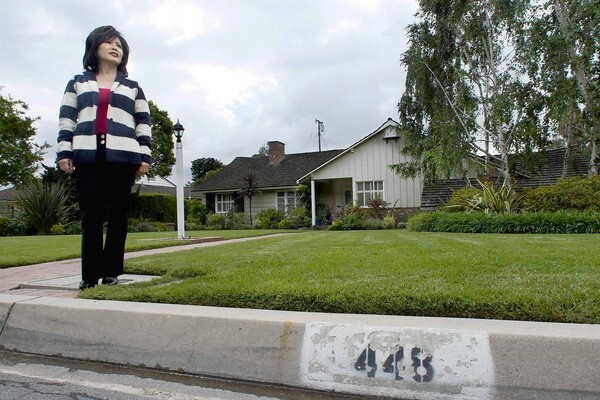 Twenty years ago, Arcadia dealt with similar complaints from residents about numbers when the city started seeing a dramatic rise in Chinese homeownership. At the time, like numerous other San Gabriel Valley cities, it decided to allow people to change inauspicious numbers — for a fee. But five years ago, it abandoned that program after city workers complained about how onerous and confusing the process of changing addresses had become. Lately though, with Chinese buyers providing the only bright spot in a slow real estate market, complaints about bad numbers have been on the rise again. This month, the City Council voted 3 to 2 in support of bringing back the old address-changing program, pending a study of the costs. The council will revisit the issue next month. Some of those facing numbers problems bought their properties many decades ago, before the Asian influx. Asians, predominantly Chinese, now make up nearly 60% of Arcadia’s population. “If we can save somebody from taking a financial bath, we should,” said Bob Harbicht, the council member who first brought the topic up. But his colleagues don’t all agree. Veteran Arcadia real estate agent Imy Dulake of Coldwell Banker tried to show a condominium at 444 W. Huntington Drive to Asian clients about five years ago. “We drove up there and the buyer saw the number 444 and didn’t even want to see it,” said Dulake. Armed with its new address, the house got multiple offers and sold within a month, she said. With younger Chinese and very rich buyers from mainland China who pay for multimillion-dollar homes in cash, the number four is not necessarily a deal breaker, but it’s not preferred, said real estate agent Cordella Wong of Coldwell Banker. “Psychologically, changing the number four would make the buyer more comfortable, and it’s good for resale value,” said Wong, who recently helped a client change an address in San Gabriel, one of several nearby cities where it is allowed. As for herself, Wong says she once lived in a house numbered 2440. “Nothing bad happened to me,” she said.